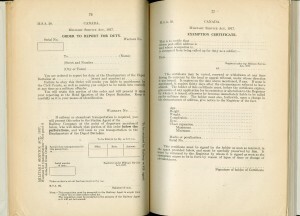 The federal government decided in 1917 to conscript young men for overseas military service. 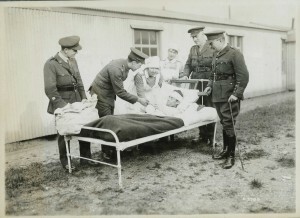 Voluntary recruitment was failing to maintain troop numbers, and Prime Minister Sir Robert Borden believed in the military value, and potential post-war influence, of a strong Canadian contribution to the war. 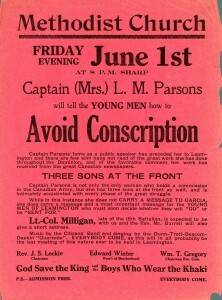 The conscription debate echoed public divisions on many other contemporary issues, including language education, agriculture, religion, and the political rights of women and immigrants. It also grew into a test of one’s support for, or opposition to, the war as a whole. 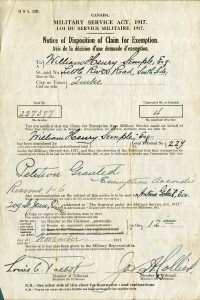 Charges of disloyalty, cowardice, and immorality from avid pro-conscription advocates were matched by cries of imperialism, stupidity, and bloodlust by the anti-conscription camp. 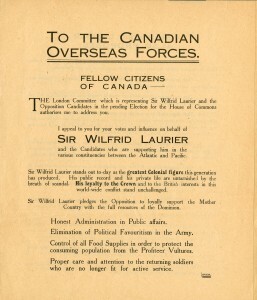 Conscription was the main issue in the federal election that followed in December, a bitter contest between Conservative / Unionist Sir Robert Borden and Liberal Sir Wilfrid Laurier. 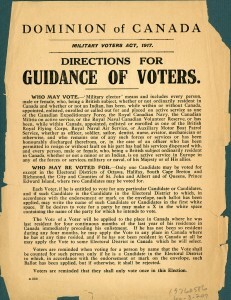 Borden, running on a ‘Unionist’ pro-conscription ticket that attracted many English-speaking Liberals, won decisively, but lost heavily in Francophone areas of Quebec. 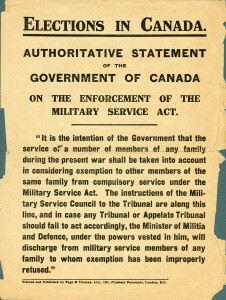 The Wartime Elections Act gave the vote to the wives, mothers, and sisters of soldiers, the first women permitted to vote in Canadian federal elections. 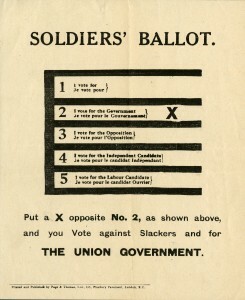 These groups tended to favour conscription because it supported their men in the field. 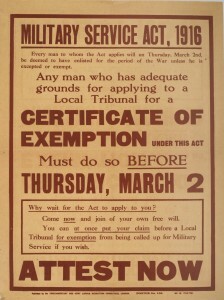 Farmers sought agricultural exemptions from compulsory service until the end of the war. Borden’s government, anxious for farmers’ votes, agreed to limited exemptions, largely for farmers’ labouring sons, but broke the promise after the election. 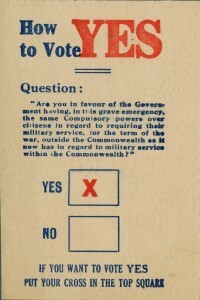 The bitterness among farmers, many of them in the West, led to the development of new federal and provincial parties. 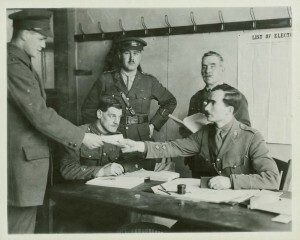 Canadian soldiers at the front voting in the 1917 election. 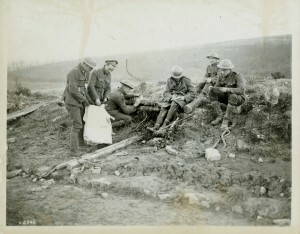 Two soldiers with a sack wait to collect the completed ballots. 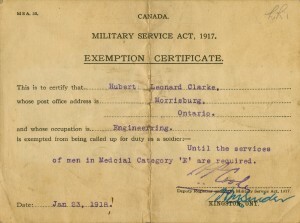 Canadians engaged in military service, regardless of race, age or gender, were eligible to vote. 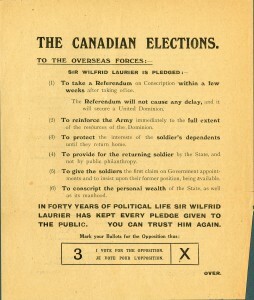 Ninety percent of them voted for Sir Robert Borden's Union government that ran a campaign based on invoking conscription.